At Braven, one of our core values is Live Your Legacy, meaning we align our actions with our beliefs and have the courage to do what is right even when it is hardest to do so. We are transparent about our decisions and actions and are authentic in all that we do. Others paved the path for us; we must do it for others. This Hispanic Heritage Month, we are calling attention to 5 Latinx leaders (in no particular order) who are living their legacy in our communities. We can’t wait to watch the impact that they’ll continue to have on our cities, regions, and nation. 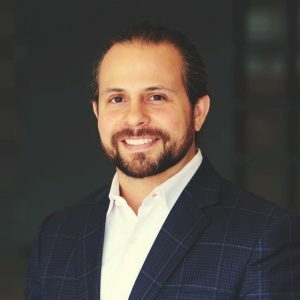 Frank Aburto – Director, Financial Planning and Analysis at Audible, Inc.
Frank is a natural leader with a lifelong desire to give back. 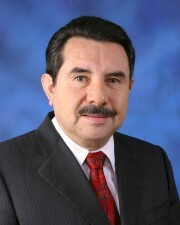 After filling several leadership roles in the US Army, Frank went on to work as an investment banker at EY and Bank of America Merrill Lynch. Currently, he leads the US Revenue Forecasting and Marketing Analytics team for Audible. Frank pays it forward by serving as a leadership Coach for Braven’s Newark region. Sol is a proud native Chicagoan. She was raised by a single mother who came to Chicago from Puerto Rico and worked extremely hard to overcome poverty and move into upward economic mobility. 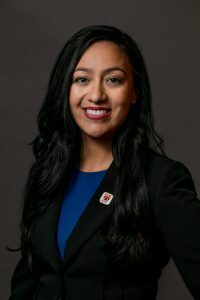 After launching her career in business, Sol went on to develop and lead La Casa Norte, a Chicago nonprofit organization that provides housing and comprehensive social services to thousands of homeless Latino and African American youth and families in Chicago. Sol was previously recognized by the Obama White House as a national Champion of Change for her work. 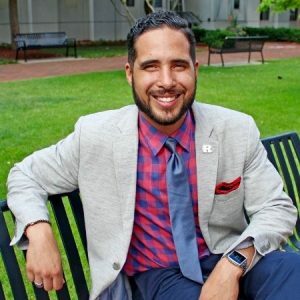 Antonio serves as the leader of HACU- a national organization that represents more than 450 colleges and universities that collectively serve two-thirds of the more than 3 million Hispanic students in U.S. higher education across 37 states, the District of Columbia and Puerto Rico. In addition to engaging in advocacy work, HACU also runs a national internship program which provides college students (many who are first-generation or Pell eligible) with access to meaningful and career-accelerating professional experience. Patricia is a role molder and innovator. 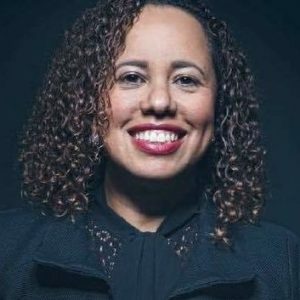 Having experienced many challenges during childhood, Patricia leveraged her education and career to work for an organization that is empowering and advancing thousands of Latinos in different stages of their education and career journey; encouraging them to achieve the highest potential for themselves and their communities. Engelbert is a pillar of the Honors Living Learning Community. Housed at Rutgers-Newark, the Honors Living Learning Community provides hundreds of students with personalized support as well as a rigorous education focused on topics such as social justice and civic engagement. Engelbert serves as the Assistant Dean of Advisement at the HLLC, and offers personalized support, providing advisement and coaching to each and every HLLC student that needs it.